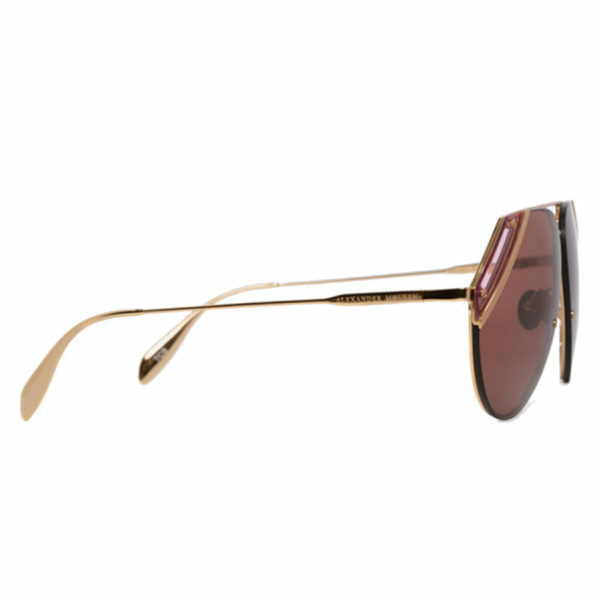 Metallic cut lens pilot frame, with Alexander McQueen signature engraved on the metallic temples. 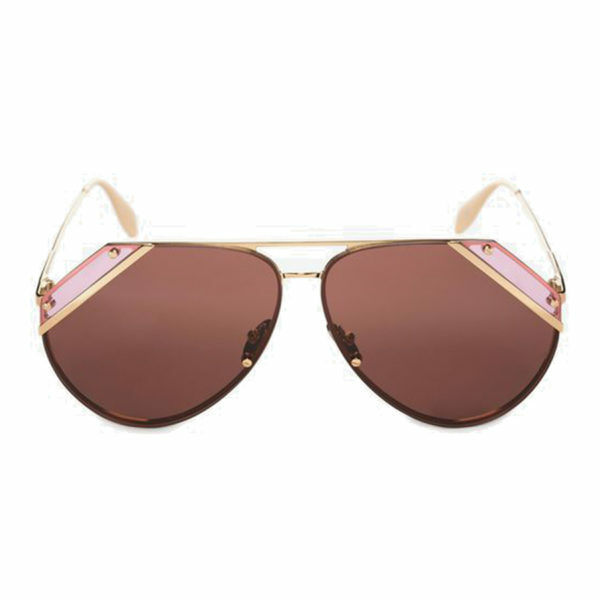 Lenses are cut at an angle, with faceted acetate inserts bolted into the frame. 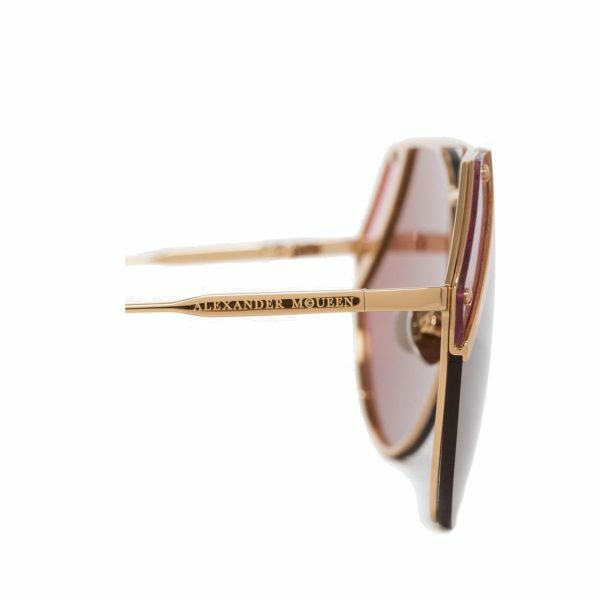 Gold frame, copper lenses and pink acetate inserts.